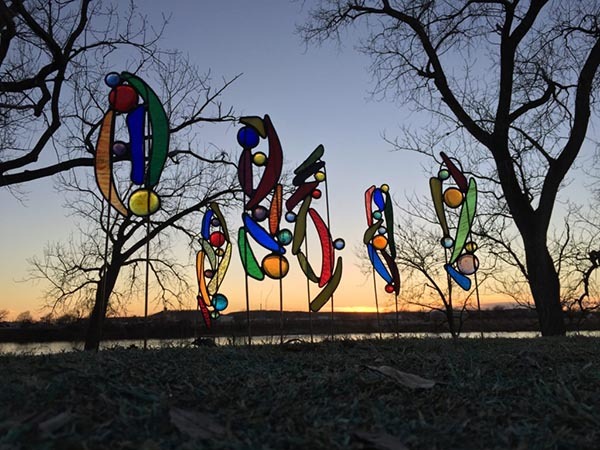 Inspired by nature, Garden Spirits project the spirits of earth, wind and fire by using color and shapes. Their function is to protect and provide peace, harmony and love to a garden of your choice. The more of them you place, the more powerful the message. Each piece is as unique as the artist who creates it. Choose colors to reflect your own personality, the mood you want to project into your space, or the message you want to send to a loved one. In our classes, we’ll share the meanings of the colors you choose! Whether you plant them in the ground, hang them from a tree or roof, or display them indoors, Garden Spirits are sure to brighten your day! Arrange Garden Spirits as a free range herd in your garden for color that lifts your spirits year round, with no water or weeding. Or line a walkway to guide guests to your special spot. Anyway you use them, Garden Spirits will bring color and joy to your surroundings. 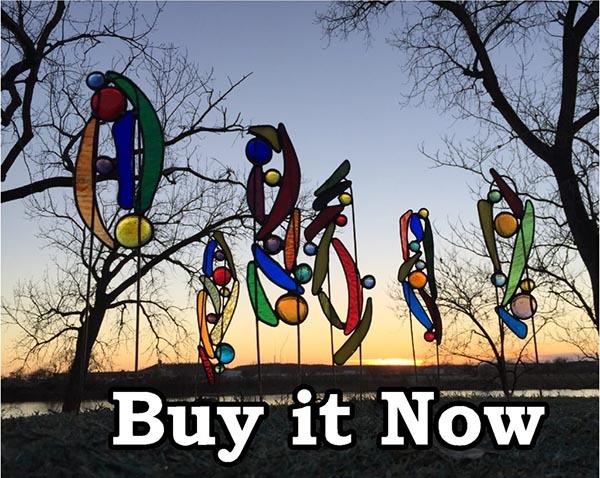 Tulsa Stained Glass maintains an inventory of Garden Spirit Sculptures of all shapes, sizes and colors ready for immediate purchase. There are never any two the same. These and other unique products make the perfect gift or accent for inside the home or in the garden. Studio Hours are 10am to 6pm, Monday thru Saturday. Our Mini Garden Spirit 3-hour class teaches you the basic process as you build a small version of the Garden Spirit. 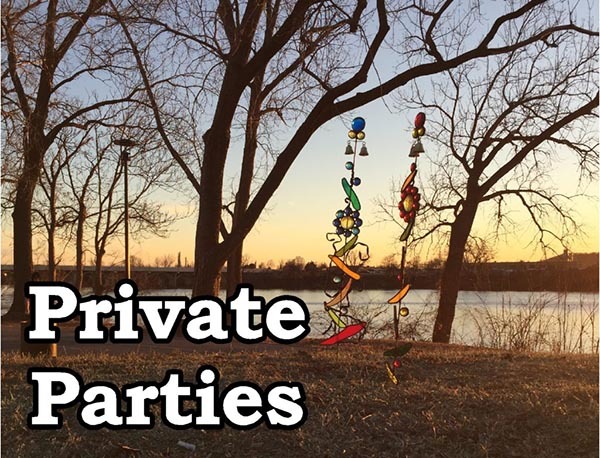 From there, you can participate in ongoing workshops to create larger, more personal Garden Spirit sculptures. 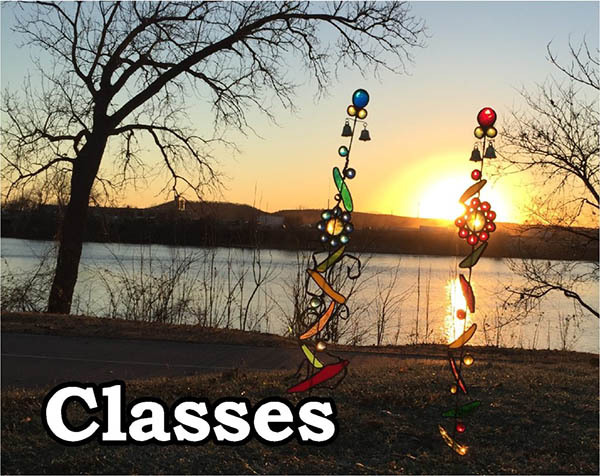 See class dates and enroll. After you have completed a Mini Garden Spirit class, you are ready for the Garden Spirit Workshop. In the workshop, you will be able to create larger Garden Spirit Sculptures, Shaman Spirit Sticks, and Wind Spirit Panels. 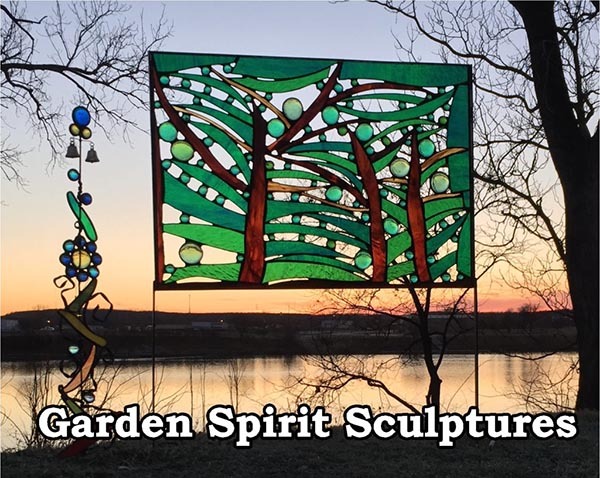 The Garden Spirit Workshop is held on Thursday evenings, 7-9:30pm; you can sign up for a 4-week block starting any week. 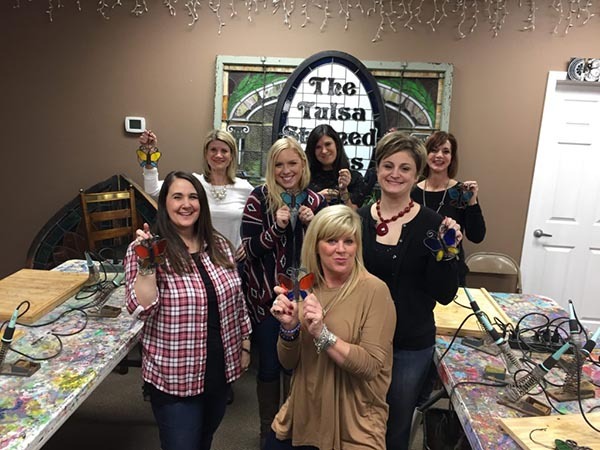 Booking a corporate outing for your team at Tulsa Stained Glass can be a unique and beneficial experience for both the individuals and the organization. Each person is challenged to overcome fears as we encourage their confidence with glass cutting, soldering, and design. No other gathering offers such therapeutic outlet of expression. Individuals foster their team-building cooperation through decision making and interpretation of abstract concepts. 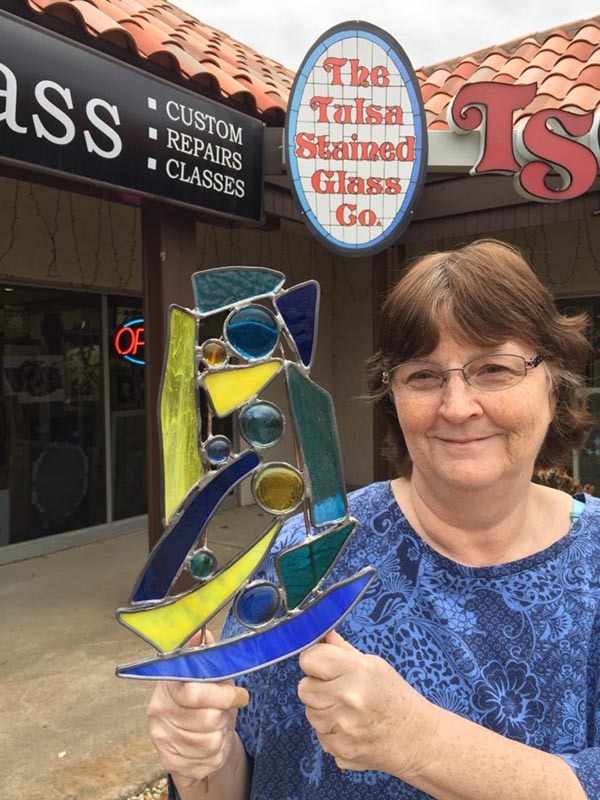 Creating a Garden Spirit Sculpture with Tulsa Stained Glass supports the embodiment of an organization’s mission statement. The insightful subject analysis by your team members will reverberate in a newly harmonized gathering. 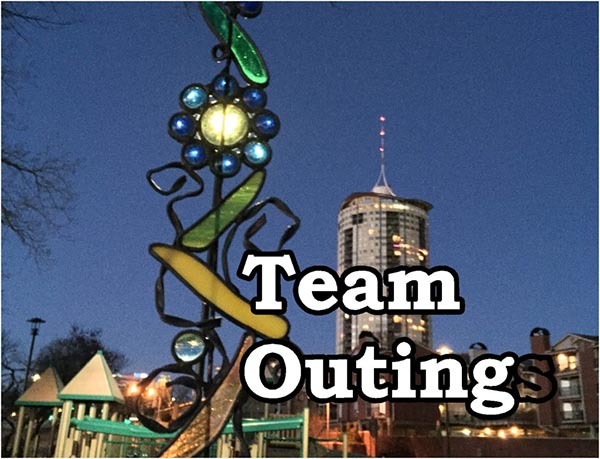 Whether used as an outdoor sculpture or an indoor art hanging, displaying one piece that was created by many serves as a lasting reminder of your team’s contributions. 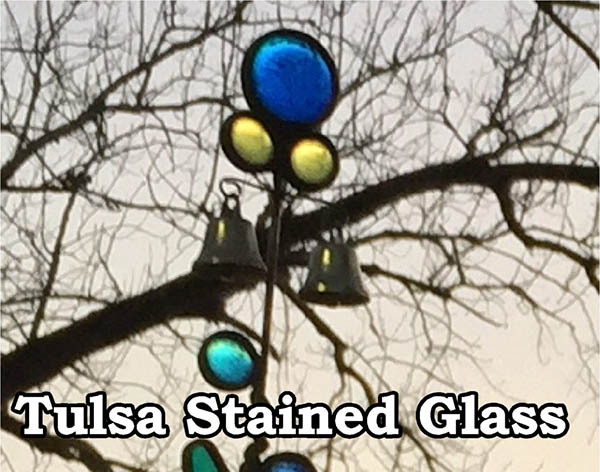 Enjoy a private Garden Spirit Party at Tulsa Stained Glass. Let us help you celebrate a birthday, anniversary, shower, girls’ night out, reunion, employee recognition, or any other special occasion you can think of! Every guest takes home their project as a souvenir of your event. 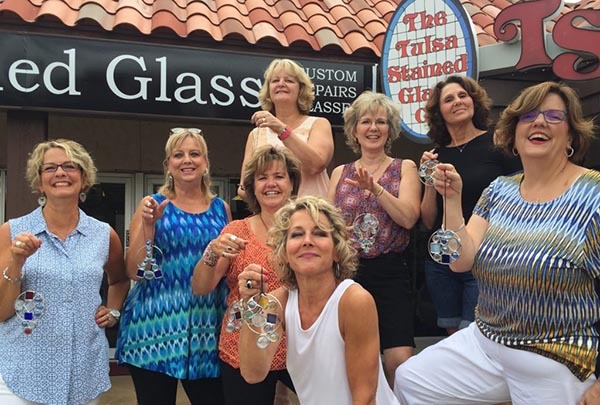 Tulsa Stained Glass parties are a fun way to get out with family and friends to express our creativity.